Who’s up for some kids’ science? 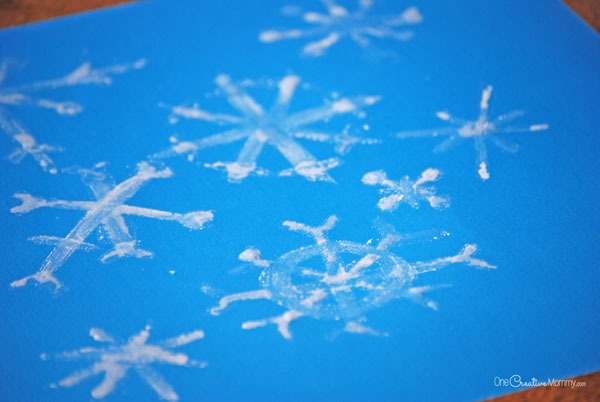 With the kids out of school for the break and many of you snowed in, here’s a fun activity to bring crystals inside–but not the cold. Wow your kids with Epsom Salt Painting. 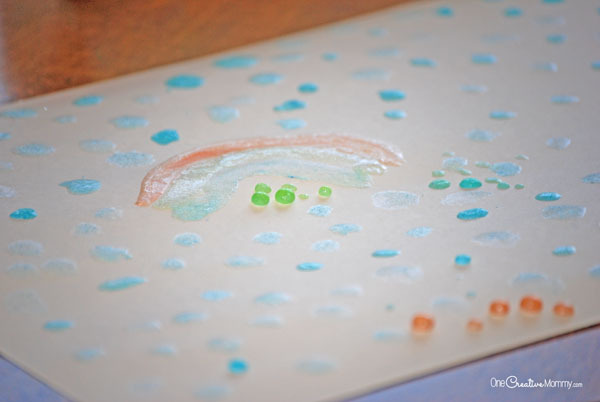 In the beginning the colors look like watercolors, but as the paint dries the kiddos get a fun crystal surprise! 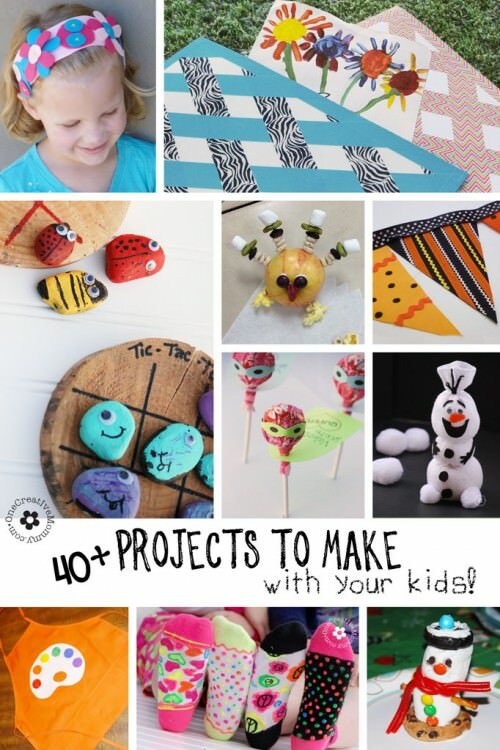 It doesn’t take many materials to make this fun project, but it may get a little messy. Ready to try it? Let’s get started. Pour one cup of boiling water into your jar or plastic cup. Add 1 cup of epsom salt, and stir until it completely dissolves. 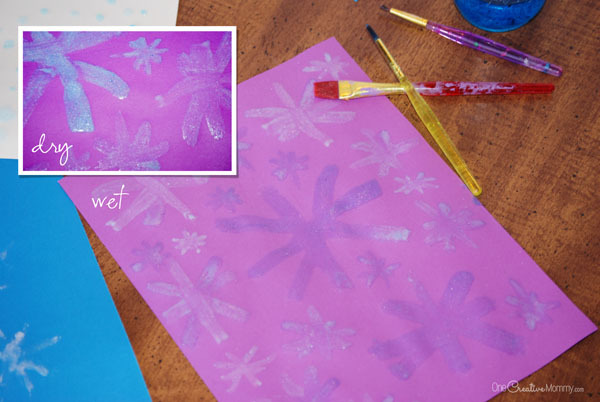 Paint your designs onto dark-colored heavy paper. Pour one cup of boiling water into each of your containers. Add 1 cup of epsom salt to each container and stir until dissolved. 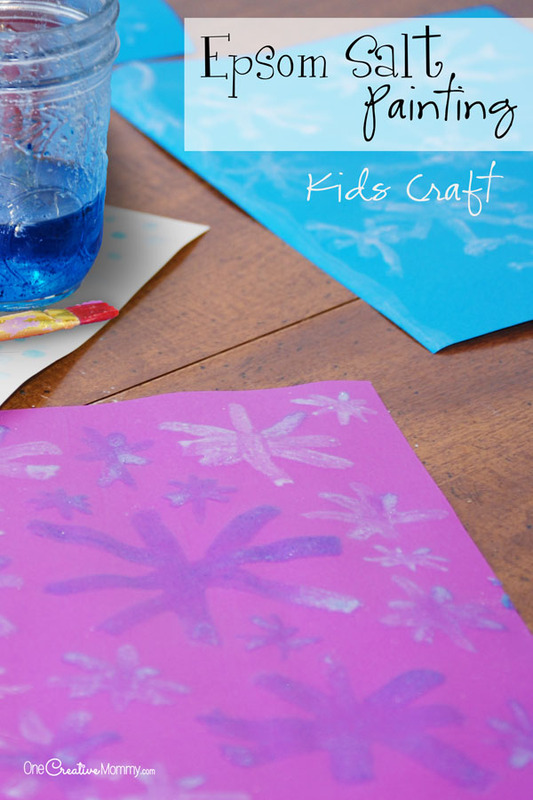 Paint your designs on white or colored paper. Experiment! Why do you think the clear paint turns white when it dries? 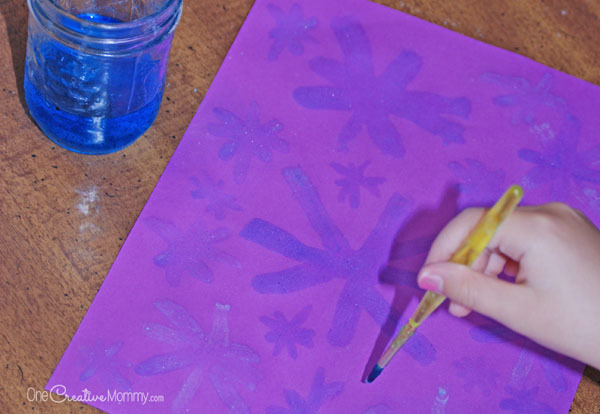 What will happen if you paint on paper that has a texture? Why do you think the colored paint dries shiny and sparkly, while the white paint does not? 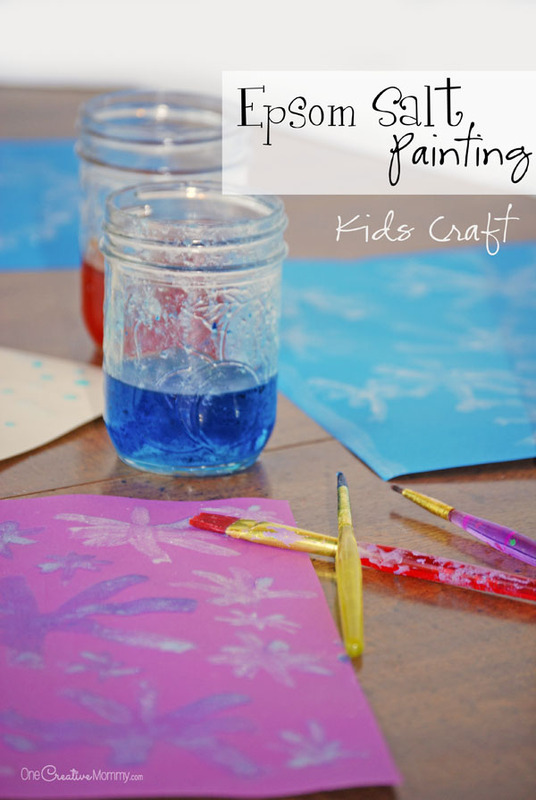 Why do you think the thin paper curls as the paint dries? Why do you think the paint gets thicker as the water cools down? Why do you think the paintbrush gets clogged up the longer you paint? This was a pretty fun project to do with the kids. I had a great time joining the girls and doing some paining, too! It’s definitely nice to let the dishes stay in the sink, forget about folding laundry, and sit down and enjoy some creative time with the kids. Try it! This post originally appeared on Juggling Act Mama. Thanks for stopping by. Stick around and browse some other fun projects while you’re here. Click on the images below to visit the posts. 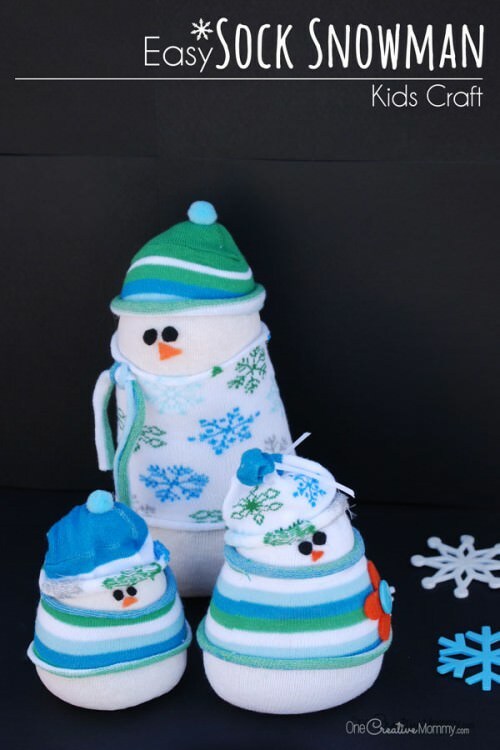 Really cute and creative craft! Budget friendly too! Thanks, Linda. 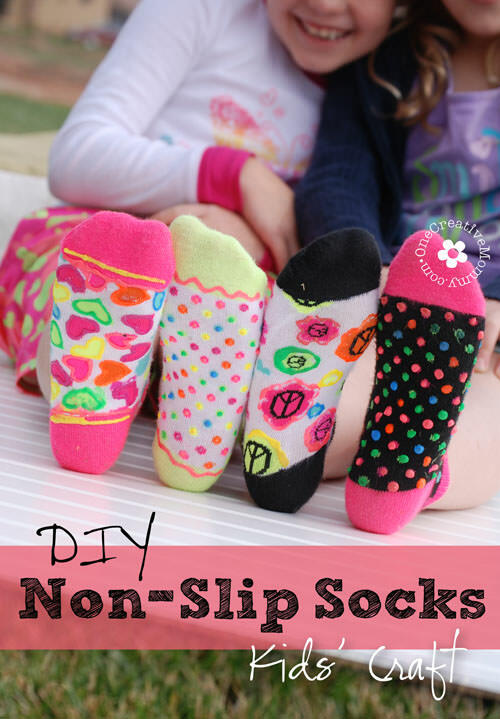 It’s a fun one to do with the kiddos on a cold winter day. I got Epsom Salt ready to use in my garden, tomatoes love it. Never thought about using to paint. 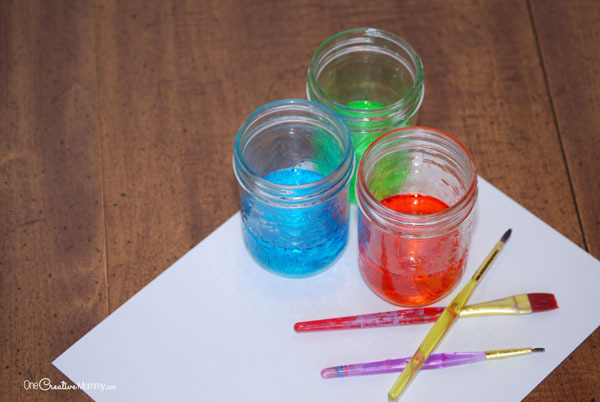 Cool ideal, will try this out with my kids, sound like you had a ball experimenting. Thanks for a great tip how to spend a rainy day with the kids!